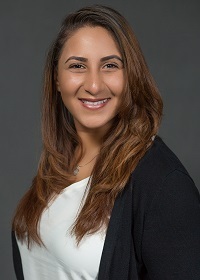 Meet Jessica Makarious, Strategic Accounts Representative here at WestCMR. Jessica handles acquisitions for the central region of the United States and is a co-chair for the WestCMR Safety Committee. Jessica has been with WestCMR for almost 2 years. Her career began in customer service but quickly transitioned into a sales position within the medical device industry. She is currently pursuing a masters in School Psychology at Argosy University. Jessica is bilingual (Arabic and English). She enjoys going to theme parks in her free time. What does the Central Acquisitions Team do here at WestCMR and how does that help our clients? We help hospitals and surgery centers in the central region of the United States with surgical inventory issues. The most important issues we help with would be: overstock due to conversions, inventory count or a doctor leaving. When facilities encounter items that will not be used, instead of throwing them out, we help by monetizing that inventory and getting some money back into the facility. I have learned how to be a better listener. Don’t sweat the small things; look at the bigger picture. How I can contribute to the success of the people around me. Before working at WestCMR, I assumed that if items were not used and have not expired, facilities would return them to the manufacturer. If items were out of date, I thought they would just be donated. What surprises me the most is the amount of in-date surplus supplies that goes unused in facilities.